Sega is open to the organisation’s first FEC under the Prizezone brand located in Hatfield, which is north of London. This venue will be the initial of a chain of Sega events, which will not necessarily all be in the United Kingdom. Moreover, it will be cashless and will follow a deal with the debit card specialist Intercard. 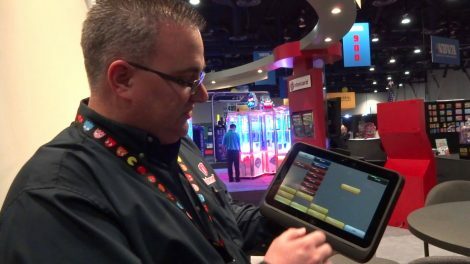 After it had revealed the news at this week’s IAAPA trade show, which was held in Florida, the managing director at Sega, Paul Williams stated that the company chose Intercard after they evaluated all of their rival card systems, which are currently on the market. Any further work will be carried out by Intercard, through Electrocoin, which is the company’s European distributor. Prizezone will contain approximately fifty games and many other types of equipment. There will also be a few small rides, as well as, a retail store for Sega and Sony toys and gifts. Electrocoin’s Gabino Stergides stated that the location in Hatfield was in the Galleria Shopping Mall. He said that the company is quite excited that Sega chose Intercard after evaluating their entire competition. He also continued that the video game company liked the system’s reliability, technology and security, as well as, the return of investments. Sega’s CFO, Roger Pennington told Intergame that his company is already into operating with over 500 parts of equipment throughout Europe under David Burnham’s management. However, this will be the organisation’s first complete centre. It will cover approximately 3,000 square feet with primarily redemption games. Keep reading our latest news section for more interesting segments.